Before you roll your eyes at yet another java joint, PoTeaTo stands out from other cafés at Tiong Bahru estate enclave with its tea culture. 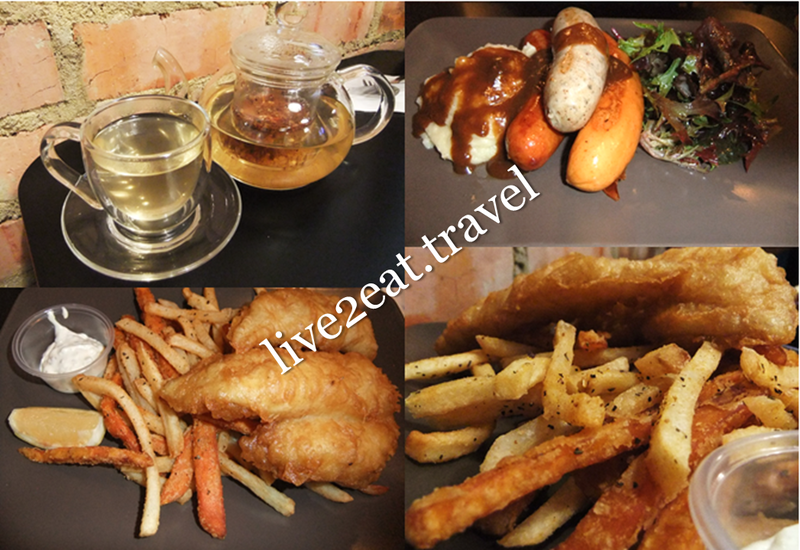 A combination of the words "potato" and "tea", it is located at Yong Siak Street with Ikyu and Social Haus, near 40 Hands and opposite Open Door Policy. 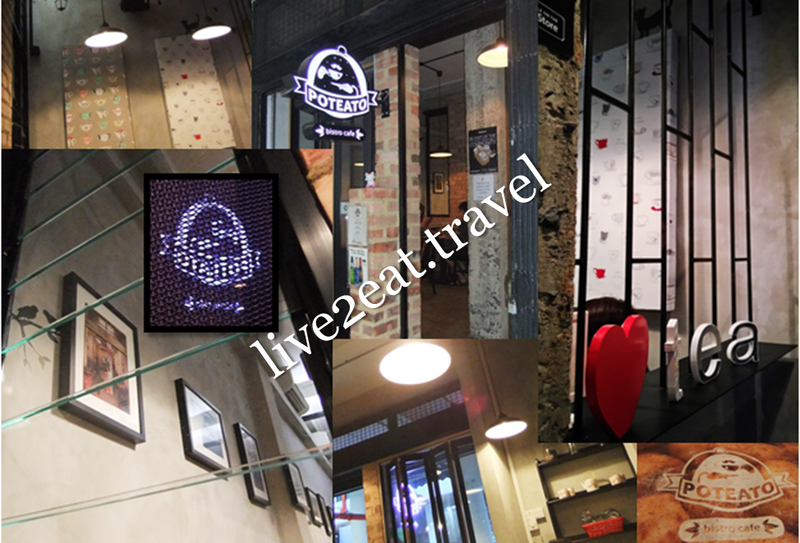 Exposed bricks, metal grills and glass window panes combined together with cement floor and walls to exude a quaint old-world charm. Since spuds and tea are the humble two stars of this cosy little place, we made sure they starred in our choices as well. Fish & Chips were nothing to rave about or fault though I liked the accompanying mix of shoestring and sweet potato fries. Both had crisp outsides with sweet insides that left a lingering savoury taste on the tongue. And perfect when washed down with my pot of freshly-brewed Persian Apple Ginger tea – light and sweet with a nice aroma. No complaints about my dining companion's Bangers & Mash and Peachy Peach tea too.